Following the reveal at San Diego Comic-Con that the fourth season of “Arrow” would be bringing the tech-based hero Mr. 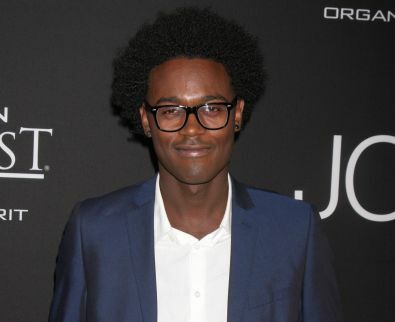 Terrific to the series, EW brings word that former “Ben and Kate” and “Sean Saves The World” actor Echo Kellum has been enlisted for the part. A recurring role in the season, Kellum’s version of the character will be named Curtis Holt, will be an openly gay character, and work closely with Emily Bett Rickards’ Felicity Smoak. Two different versions of Mr. Terrific have existed in the DC canon, the most well known is Michael Holt created by John Ostrander and Tom Mandrake. Another genius billionaire, Holt uses his floating T-Spheres to fight crime as they allow him to fly and cause all sorts of damage to ne’er-do-wells. “Arrow” stars Stephen Amell as Oliver Queen, Katie Cassidy as Dinah “Laurel” Lance, David Ramsey as John Diggle, Willa Holland as Thea Queen, Emily Bett Rickards as Felicity Smoak, John Barrowman as Malcom Merlyn, with Paul Blackthorne as Detective Lance, and the recently announced Neal McDonough as big bad Damien Darhk. The series is executive produced by Greg Berlanti, Marc Guggenheim, Andrew Kreisberg and Sarah Schechter. After defeating his most formidable foe to date and riding off into the sunset with longtime flame Felicity Smoak, Oliver Queen (a.k.a. The Arrow) left Starling City with the hopes of beginning a new life. But will Oliver ever truly be able to leave behind his past as the Arrow, and, if so, what becomes of the team he has worked so hard to assemble? Will Diggle, Thea, and Laurel be left to continue Oliver’s crusade without him? And with Malcolm Merlyn having ascended to the top of the League of Assassins as the new Ra’s al Ghul, is anyone really safe? “Arrow” will premiere its fourth season on Wednesday, October 7 at 8:00pm ET/PT.